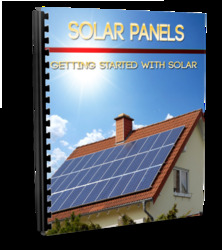 There are many ways in which to build a 500 to 5,000 watt inverter by 60 Hz. #1. You can buy an ISOLATION TRANSFORMER 115 V input with a 115 V output. The amperage of the transformer will give you the desired wattage that you will need. an amperage output voltage of 50 amps should do just fine for a 5,000 watt inverter. you can make your own isolation transformer by simply taking apart an old wall transformer and rewinding it. ( same amount of winds for both input and output. ) the size of the wire and how many winds will determine your wattage. the bigger the diameter of the wire the more wattage, But if you wind each side with not enough turns you can burn up the wire or it will get very hot and be less efficient It is best to just buy an ISOLATION TRANSFORMER. ( Remember an isolation transformer does not step voltage up or down, if you put 120 volts in you will get 120 volts out. Now you must take the isolation transformer and apply a 120 volts DC on/off pulse to the input coil. you should open and shut the + positive side of the 120 vdc at a pulse of 60 times per second. Of course the only way you will know it is 60 Hz is by using a meter that measures Hz. or you can try running a house hold appliance that must run on 60 Hz and adjust the pulse speed that way. If you know anything about electronics you will know that when ever you shut off power to a magnetic coil you will get a reverse polarity! FREE ENERGY FROM A COLLAPSING MAGNETIC FIELD. and by doing this it will cause an AC current to flow to the output of the coil. Size of wire and how many turns you use will determine your output voltage also. If you buy the wrong transformer and you put 120 VDC into it and your only getting an output voltage of 108 VAC, then you can add another 12 VDC battery to increase the input voltage or you can buy and try another ISOLATION TRANSFORMER. they are not that expensive. To pulse the input voltage you can use a small DC motor to turn a micro switch on and off. for our experiments we used a very small low cost, low amp hobby motor. ( One you would find in toys. ) we then soldered one bead of solder on one side of it's shaft, But it is best to have two beads. or you can use a hard metal glue, epoxy etc... to glue two copper or metal BB's to the shaft or you can use small ball bearings. H 1.5 volt to 6 volt DC electric motor. This small toy motor can be replaced with any size motor you would like to use. 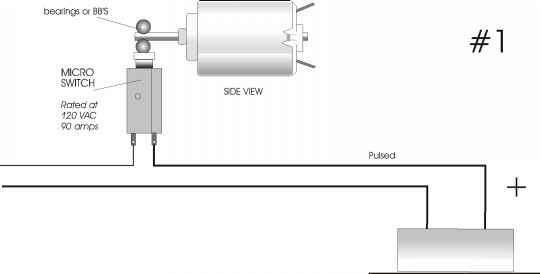 this motor pulsing method will also be used in the #3 method of our invention. The wattage and amperage you want your inverter to be the more every component you see below must be heaver duty to match the rated power you are wanting to draw from the batteries. Otherwise components will get hot and can burn up. 1.5 volt to ó volt DC electric motor. ISOLATION TRANSFORMER Coil Turns Ratio 1:1 115 V / 115 V x 50 to 100 amps your choice! As the shaft motor rotates counter clock wise, the beads come around and hit the micro switch turning it off or on, It's best to buy a micro switch that turns on when pushed. you can also build your own contacts instead of buying a switch. You simply build one using the contact method that you will see in #3. you can use nuts and bolt heads as the contacts, this will increase your amperage rating to a high level, of course if you are an electrical engineer you can clearly see that you can use our methods of stepping up voltage and apply them to solid state circuitry. These plans are intended for those who are not educated in electronic engineering. An Isolation Transformer can be used but it is not very efficient yet at this point, As you read on we will show even better ways of making very powerful inverters or even DC step up capacitor transformers, which can also be used as a high or low wattage inverter. WARNING! Please build your inverter in a safe container, such as plastic or plywood, Better yet do what we did, we used an old computer box. Try your best to be neat about what you are doing. take your time, do not rush it. WARNING! HIGH VOLTAGE CAN KILL YOU! Use rubber gloves! Keep away from children. The following is an example of how to make a simple capacitor inverter, which can also be used as a DC stepup capacitor type transformer! 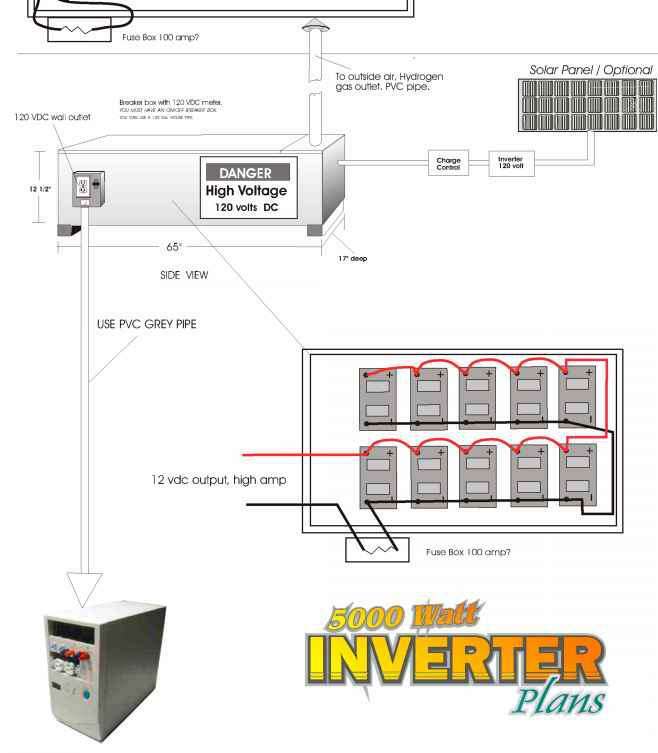 This type of inverter is unlike any you have ever seen before, Although capacitors are used widely in commercial inverters all over the world, We designed this system especially for the back yard researcher in mind, it is simple, low cost compared to buying a $3,000 commercial inverter. You may already have all the parts you need at home in your shop. this type of inverter will use 24 volts DC or you can add more capacitors to allow it to run on 12 volts DC. but for example we will show you the 24 volt DC method only. 24 volts DC is much more safer than using 120 volts DC. there is much less chance of a spark igniting the hydrogen gases and less chance of someone getting shocked to death! First of all we start with 2 deep cycle marine batteries connected in series to get 24 volts dc. Now we must take that 24 vdc and step it up to 144 vdc, and we will do that by using our new method of using capacitors as batteries, put together in series, EXAMPLE: Charging and using 2 capacitors; ( see page 19 ) Charge #1 capacitor with 24 vdc and charge #2 capacitor with 24 vdc, Now remove the charge and each capacitor now has a full charge of 24 vdc. ( Each capacitor should be taped to your table for this experiment.) now using one alligator clip or wire, connect the + to the - as you would 2 batteries and you will now double the voltage from 24 vdc to 48 vdc. BE CAREFUL DO NOT TOUCH THE ENDS OF THE CAPACITORS. YOU MUST DISCHARGE ALL CAPACITORS WITH A WIRE BY SHORTING THEM OUT OR BY CONNECTING A LOAD SUCH AS A 100 WATT LIGHT BULB. Can you use transformer to increase voltage of inverters? How to make a transformer type inverter? How many wind of coil can give 5000 wats?